Here are my Day 2 nails for the Digital Dozen Vampy week. I'm not totally loving these, and they are actually the mani I painted for the challenge. I'm really wishing I had mixed up the vampy theme with with other colours now - such as green and silver like someone suggested on instagram. Oh well. I did pull out a polish that I haven't wore in forever, and doing that always makes me feel good. Its funny that with so many polishes I tend to reach for the same ones time and time again. I seriously reckon I could reduce my stash to about 100 polishes and still be ok. But then I realise I have at least 100 golds, and I wouldn't want to get rid of any of them. 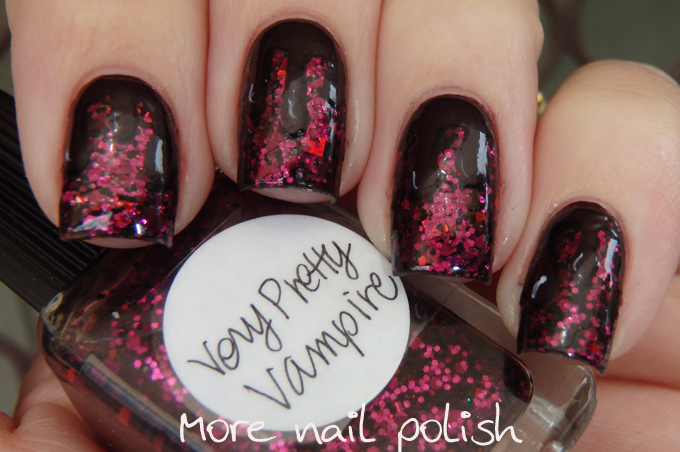 The polish I pulled out to wear seemed very appropriate for this prompt, Lynderella's Very Pretty Vampire. 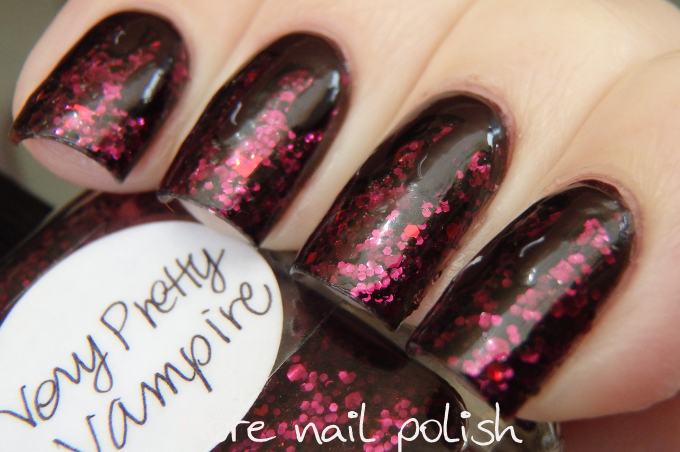 The colours in it are definitley in the Vampy spectrum and it's name is just right too. I then did some free hand drips using a very dark ox blood polish from Face of Australia called Mulled Wine. It was from their Autumn Romance Collection released here in Australia for our Autumn back in March. I did some shadows on the drips using black polish and tried to add some highlights to the drips to make them more realistic, but I'm not sure that I really achieved that. I love the glitter intermixed with the drip! Glitter makes everything better! 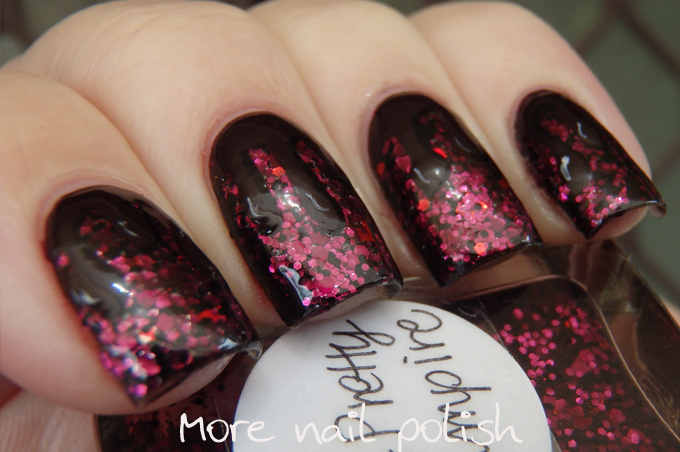 Awesome mani + it alway's feels good pulling out an old polish, best feeling! This look is stunning!! I always have this weird mix of feelings when I use an old polish. On one hand (pun intended) I'm happy that I pulled out a polish that I don't use often but on the other one I'm sad that I always forget about polishes because of the size of my collection haha.